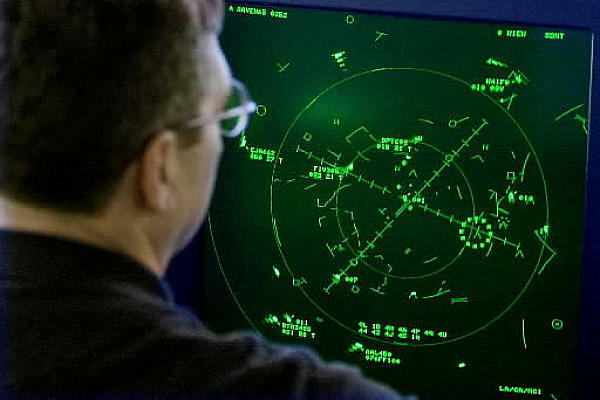 I am beginning to feel like an air traffic controller, only I am directing appointments instead of airplanes. So many appointments are being set up now, and I have to try to make sure they don’t collide with each other. It’s hectic. We had almost forgotten the appointment EJ had made months ago for a physical. We realized Wednesday that the appointment was Friday and that he needed lab work done. EJ actually called the doctor’s office to cancel because he didn’t think that the lab would have time to send the results to the doctor. The receptionist encouraged EJ to go to the appointment anyway. So Thursday EJ and I got up early to drive about 45 minutes or so to the lab. There weren’t many people in the waiting room, so he quickly was taken back…and then quickly returned. The blood couldn’t be drawn because he hadn’t fasted as he was supposed to have done. Oops. As we walked out to the car, we decided that we don’t have time or energy for this so we’d just reschedule. I called while EJ drove home. The first available appointment for a physical is in March. That will work. Thursday afternoon the surgeon’s office called to set up a consultation appointment on Monday morning. At that appointment, we will make an appointment to put in the port. The receptionist emailed me forms to be filled out before the appointment, and I saw that we have to bring JJ’s CT Scans with us to the appointment. So I called the place where his scans were done and arranged to pick them up on Friday. So it’s just as well that EJ had to cancel his physical. Yesterday morning I got a call from the Cancer Center to set up an appointment for a Pulmonary Function Test (PFT), which is a group of tests that measure how well the lungs take in and release air and how well they move gases such as oxygen from the atmosphere into the body’s circulation. (I am learning all sorts of new words and procedures these days.) I pointed out that the appointment was after Chemo begins, and I asked if that was a problem. “I’ll have to talk to the doctor and get back to you,” she said. She called back in the afternoon with a new appointment scheduled for this Monday, the same day as our appointment with the surgeon. The surgeon’s office is in one city, the PFT is at a hospital in another city, and the appointments are only 2 1/2 hours apart. So I called the surgeon’s office to see how long the consultation was expected to take (45-60 mins) and I used Google maps to see how long the trip between cities will take (30 mins) and I think we can make both with no problem. I was proud of my thinking to do this. Hopefully there are no long delays. When the Cancer Center called yesterday morning, I was also given a phone number so I could make an appointment with the Sperm Bank. There is a risk that Chemo could cause sterility, so many men choose to bank their sperm so they can have children later. The Cancer Center receptionist said that insurance will probably not cover it. I said that I know that she can’t give me specific answers since she doesn’t work for the Sperm Bank, but did she have any general idea of how much this costs? She said there was an initial consultation fee of about $300-$500. She understood that JJ would have to make five “deposits” before Chemo begins, and each would cost about $250, and then there are fees to store the sperm. Ouch. On the way to pick up the scans, EJ, JJ, and I discussed the various aspects of this: the reality of the expense (in addition to lots of other medical expenses), the future hope of having children, the emotional ramifications of having our family line cease if we decide we can’t do the Sperm Bank, and where faith comes into all this. We decided that we’d set up the initial consultation to find out more information and then decide whether to continue or stop. I called the Sperm Bank when we got home. I told the receptionist about JJ having testicular cancer and said I know nothing about Sperm Banks. She very kindly told me that she’d answer all my questions. She verified that insurance usually doesn’t cover Sperm Banks because even though a man is doing this because of cancer, the “mean ol’ insurance companies” consider this a choice, not a necessity. She said five deposits are required because each deposit is considered a “try” and a woman doesn’t always get pregnant on the first try. Each deposit must be made at least 48 hours apart. There is an initial consultation fee (I have $500 written down but don’t know if that’s correct), and includes testing for various things. Each deposit is $230, which covers testing and 6 months of storage. After that, each deposit costs $95 a year to store. Yikes. She said that they’d really work with us financially because JJ is on a stringent schedule and can’t wait until we have enough money in hand, and they don’t want to prevent him from having future children because of finances. So I made an appointment for Tuesday morning. The Sperm Bank is about 1 1/2 hours away and we have to go there five times. This in addition to the PFT test, lab tests, surgeon consultation, port surgery, and who knows what else, all needing to be done before Chemo starts on December 9th. This is a grueling schedule, especially for an introvert who needs quiet to regain energy. We also have to fill out paperwork in preparation for the consultation with the surgeon on Monday. Serious decisions have to be made quickly and there’s not a lot of time to think. In addition, I have to read the info about Chemo and get in my mind what JJ can eat/not eat, and do/not do. I will need to shop for food and other items he will need before we get busy with Chemo. In addition there are all the routine tasks like cooking, cleaning, and laundry. Plus the firewood guy delivered firewood today. Poor Eric has to drive us here and there and still work his normal shift–and often overtime. All this is why we often feel overloaded with new information and overwhelmed by exhaustion. When a family gets overloaded and overwhelmed, they can get physically stressed. Physical stress can cause emotional stress. I am trying to remind myself that it’s not a lack of faith or hope that causes us to feel as we do. With everything that’s happening, I think we are normal. Well, as normal as we can be. The woman from the Sperm Bank was awesome. She was extremely compassionate. In addition to answering all my questions, she told me that she knows that when a Mom hears that her child has the dreadful “C word,” there is a surge of anguish. “You’d take your child’s cancer in a heartbeat if you could,” she said. “There is the utter exhaustion from all the appointments and decisions and the stress it causes.” I felt like sobbing because she described it all so accurately. She continued, “But I want to reassure you that of all the types of cancer a person can get, testicular cancer is the one to have because it is very treatable.” She said that Lance Armstrong is sort of their “poster boy” because he had had testicular cancer and it had spread to his brain and lungs. But he beat it. Also, he went on to have four children from sperm that he had banked. She said she had worked at the Sperm Bank for 25 years and she has witnessed many men going on to have children and live full lives. “Your son will beat this cancer and have a very good life,” she encouraged. She also said that she, herself, had battled cancer. She had had both Chemo and Radiation, and she didn’t even vomit. “The drugs they have now to prevent vomiting are awesome,” she said. She said she also had a port put in. She explained a little–but not too much–about the procedure and said she had to have the port in for 18 months but was hardly aware it was there. “There’s no discomfort,” she said. That was a comfort to me because the thought of my son having a port in him horrifies me and makes me feel like vomiting whenever I think of it. At the end of our conversation, I told her that she had greatly encouragement me. “It was such a pleasure to talk to you,” I said. However, I think that the love and compassion of EVERYONE in this journey with us is awesome beyond description. The people who haven’t been through the battles might not “deeply understand,” but I really, honestly, don’t think their love is less. Only the understanding is less. Having “less understanding” isn’t wrong. Sometimes I look back in the past and I’m appalled by my absolute ignorance of what others have had to suffer, and I know there will always be sufferings that I am absolutely ignorant of. But then I remind myself that, really, as far as I know, none of us can truly understand what we haven’t experienced. How can we? I know lots of people who have had cancer, and I always so very much care, but I had no idea what it’s like to face it, or to be a caregiver, until now. There’s absolutely no way, that I know of, to understand until I suffered it. Even then, I think each cancer journey is different–the treatment, the emotions, the coping skills are all different even when the journey seems similar. I don’t know what it’s like to have a spouse or parent battle cancer. I suspect it might feel different than having a child battle cancer. And I don’t really know what it’s like for another family whose child is battling cancer, only what it’s like for us. I have a friend who is now in her own cancer journey. She is choosing to fight it with natural methods. I have no idea what it’s like to fight it that way. I think it’s expensive and very labor intensive. I don’t really know how to encourage this friend in her battle. I don’t know what she finds encouraging, only what we find encouraging. I do not have the resources, time, or energy, to be there for her as much as I wish right now, but I do my best to let her know that I care and to pray for her. I think “our best” is the best that any of us can do, and “our best” is an awesome gift even though it may not feel as if it’s enough. I am so thankful for everyone that God is using in our lives right now. You are all AWESOME. Although this journey is difficult, God’s love is everywhere through every person. He is showing us through each of you how much He loves us and is present with us. God is able to make a way where there seems to not be one. So glad the bank is working with you… I know hospitals can sometimes write stuff off. I know we had to do that once with a colonoscopy and being out of work….I think the bill was several thousand, we told them our circumstances and that we could pay $600 with our income tax refund when it came in, and they accepted that payment and marked the bill paid in full. Perhaps they’ll be able to do something similar? I just don’t remember what it’s called. Praying for all of you appointments, and for every tiny detail! Also praying for your appointment on Monday, that all of the lights will be in your favor, and that the doctor at your first appointment will be on time, etc. I’m sure you’ll do this, but maybe just follow up with your second appointment and let them know you have a consult in ‘x’ city at ‘y’ time so that they know you may be run late. Aren’t cellphones a God-send? I can’t begin to imagine trying to get everything done without them! I don’t know if I will be able to call the hospital before we have to leave on Monday morning, but I will find their phone number and if there looks like there will be a delay, I will call them. Such a good tip, Kim!